Crowds and other flocklike group motion are often modeled as interacting particle systems. These multi-agent simulations are computationally expensive because each agent must identify its nearest neighbors. Simple implementation are too slow because computation grows as the square of the number of agents. This talk will discuss how the same spatial hashing used to accelerate crowd simulation on a traditional CPU can also form the basis of a scalable multi-processor approach to large, fast crowd simulations. For example, with this approach crowds of up to 10,000 individuals can be simulated at 60 frames per second on the PLAYSTATION®3. The talk will cover various elements of the AI and structure behind The Sims 2 as well as future efforts in products such as The Sims and SimCity. Emphasis will be on simplification of abstraction and underlying world representations, prototyping and demonstration of practical results. Discussion will focus around players' perceptual models of the world and manipulating available information and expectations to simplify design. Matt Brown was the technical director and designer for EA’s FIFA franchise (FIFA’99–FIFA’03) and later for The Sims 2. He is now the design director for the next version of The Sims. He is obsessed with creating the illusion of life through simplification, scale, and slight of hand as well as the practical application of AI. Adaptive entertainment focuses on giving every individual human optimal pleasure when playing a game. Games are particularly entertaining when they provide interesting challenges, manage to surprise, and give the illusion that nonplayer characters possess humanlike intelligence. This talk provides insight into adaptive techniques that create entertaining game AI. How do we realize new challenges? How do we adapt the challenges to the skill level of the player? And, how do we measure their effect? In the talk I will discuss these three questions, whereby I will focus on the use of machine learning techniques. I will illustrate them by practical experiments that make use of modern games. Pieter Spronck studied computer science at the Delft University of Technology. He has been working for 20 years as a software engineer, knowledge engineer, and researcher. He received his Ph.D. in 2005 with a thesis titled “Adaptive Game AI.” He is currently affiliated with the Institute of Knowledge and Agent Technology of Maastricht University, The Netherlands. His research interests include evolutionary systems, adaptive control, computer game AI, multiagent systems, and knowledge technology. The last decade has seen an explosion of interest in the role emotion plays in human cognition and social interaction. Recent findings in psychology and neuroscience have emphasized emotion's distinct and complementary role in human cognition when contrasted with the rational conceptions of human thought such as decision theory, game theory and logic. Rather than viewing emotion as a distortion of such rational systems, contemporary research emphasizes emotion’s functional role and has worked out a number of the mechanisms through which emotion helps an organism adapt to its physical and social environment. Within computer science, there is growing interest in exploiting these findings to expand classical rational models of intelligent behavior. For example, applications that presume the ability to understand human beliefs, desires and intentions can benefit from a model of how emotion influences belief, acts as an intrinsic reward (or punishment) and motivates intentions to act. Applications that aspire to influence human behavior can benefit from an understanding of the display of emotion can trigger cognitive and behavioral responses from others that can be difficult to suppress and may occur without conscious awareness of the manipulation. More importantly for those interested in communication, emotion seems to play a crucial communicative and regulatory role in human interaction. In this talk, I will review current findings on the intrapersonal and interpersonal function of emotion and its potential role in enhancing human-computer interaction. I will then discuss our attempts to model these functions within the context of embodied conversational agents for interactive pedagogical dramas. Jonathan Gratch is a research scientist at ICT and a research assistant professor of computer science at the University of Southern California. He completed his Ph.D. in computer science at the University of Illinois in Urban-Champaign in 1995 with a focus on machine learning, planning and cognitive science. His research addresses the creation of virtual humans (artificially intelligent agents embodied in a humanlike graphical body) and cognitive modeling. He studies the relationship between cognition and emotion, the cognitive processes underlying emotional responses, and the influence of emotion on decision making and physical behavior. He has worked on a number of applications of virtual agents, including considerable experience in the research and development of automated and semiautomated agents in training. He is a member of the Association for the Advancement of Artificial Intelligence (AAAI) and the International Society for Research on Emotion (ISRE). 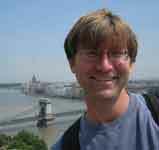 Gratch is the author of over 100 technical articles, has organized multiple conferences on virtual humans, and has served on numerous review committees. Within the field of artificial intelligence, too many academic research efforts are still focused on creating cutting edge algorithms which benefit only a subset of game projects. Most of these endeavors focus on making the smartest or coolest soldiers, assassins and cyborgs. Creating smart soldiers is only necessary for a very small fraction of war games. Creating “cool” soldiers is a more justifiable goal from the perspective of game design. However, as noble as this goal may be, it addresses only a small portion of the types of things an AI coder in the games industry is concerned with. For example, at Radical Entertainment we created Hulk: Ultimate Destruction to allow the player to feel like they are the Hulk. The application of advanced AI techniques in this genre is nonobvious. However, in many cases, the problems of traditional action, arcade, or adventure style games are just as complex as their peers in the first person shooter war inspired genres. Certainly if the target demographic is a younger or more casual audience we don't want to let the player get beaten too often. Planning algorithms and machine learning algorithms need to be fed the correct data sets. Within the field of preference elicitation, the data set is user rankings. Our approach is to take a page from their work and modify the typical data set for learning and planning. Our data set involves the creation of game design metrics. This can be seen as an extension of auto adjusting difficulty levels. Our metrics include fuzzy game topics such as game balance (how fun or hard the level was), continue values on level completion and health/amo values on completion. Using this data we're able to get a feel of how the player enjoyed the level. Our hope is to learn this function, not to learn the behavior functions for individual agents. Ben Geisler has been involved in game programming for more than ten years. He is a cross discipline programmer/designer and has had job assignments in programming, management, gameplay, AI, scripting and design. Over the last five and a half years, Ben has worked at two AAA development houses: Raven Software (Madison, WI) and Radical Entertainment (Vancouver, BC) and has worked on more than five AAA, best selling games. He has also been involved with publisher relations at both Vivendi Universal Games and Activision. His past credits include Soldier of Fortune 2, X-Men Legends, Jedi Knight 2, Quake 4, The Incredible Hulk: UD, and Scarface. Each of these games has gone on to be a critically acclaimed success. In addition to lecturing and teaching game programming and design, Ben continues to work as a contractor at Radical Entertainment. At this position, he is working on AI programming and technical design for an unannounced title. Geisler is involved in various committees and special interest groups throughout the gaming industry as well as the academic artificial intelligence community. He is an active member of the International Game Developer's Association where he serves as a chairman for the Standards in Artificial Intelligence Special Interest Group. Ben also is a member of the Chicago chapter of IGDA and the games group at UW-Madison. The lack of a human spark in game characters is perhaps the biggest obstacle to true acceptance of games as a form of mainstream entertainment. Although this is obviously a profoundly complex and difficult problem, with current technology and clever design, the game industry can make significant advances from where it is today. Key issues to focus on include making characters respond in a credible way to what is happening around them, vary their behavior, have extensive memories of earlier game events, and exhibit distinctive personality traits. Taking a few basic steps in these directions can suddenly make games far more sophisticated and appealing to a broad audience. Steve Crane is the Chief Creative Officer at Midway. Earlier in his career he ran development studios for Electronic Arts, Knowledge Adventure, and Activision — where he was the creator of the company’s first Tony Hawk, Spiderman, and X-Men titles. Prior to entering the video game field, he worked for a number of years in the special effects business. One of his real-time effects systems won an Emmy™ award for engineering achievement in 1990. He has a doctorate in geophysics from the Scripps Institution of Oceanography and was a postdoctoral fellow in the chemistry department at Caltech.